Everyone likes to get invited to a great party. Parties are of various kinds, and allow people to gather, mingle and make merry. All over the world hundreds of thousands of parties happen each year. People take part on an invitational basis or they buy tickets to register their attendance – whatever be the way there’s no doubt that parties are big and they keep getting bigger and better with each passing month or year. In fact there are some parties which can go on for a few days, a week even. Numerous events take place within that duration in and around the venue. Are you hosting a long, big party event? 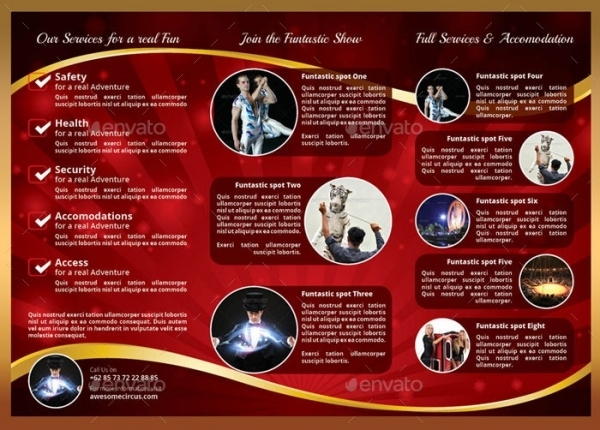 Well, here are Trifold Brochures templates you could pick and customize and create your own party event’s brochure. Psychedelic parties are a huge rage. 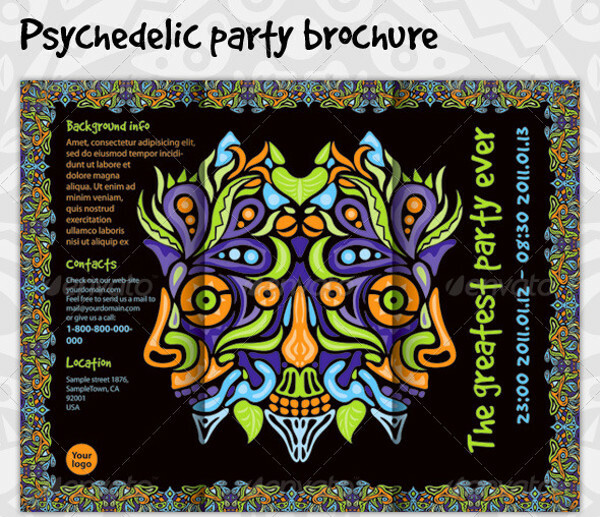 If you’re organizing one, here’s a fitting party brochure template especially designed and meant for psychedelic party gigs. 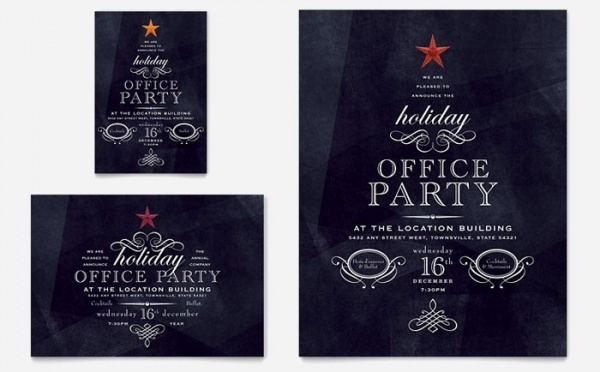 It’s packed with lots of editable colorful patterns and designs. 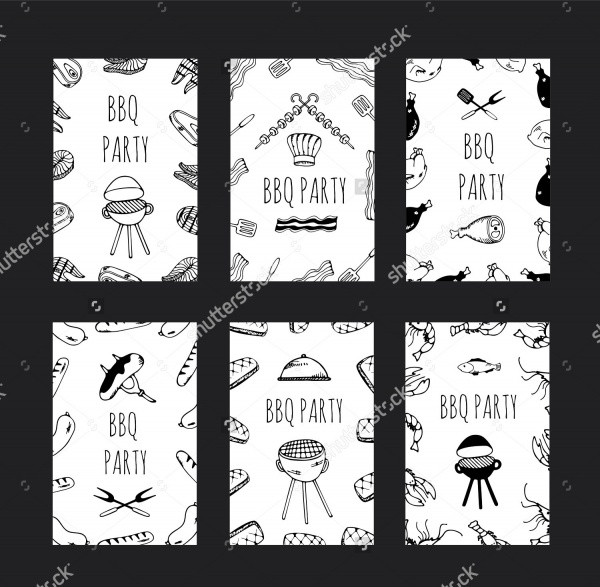 This sample is just the perfect for anyone that is planning to keep up retro-themed barbecue party for friends and family in the neighbor. The template has a completely customizable editable layout and design. It’s difficult to imagine summers with summer party. Let your target audience soak up the sun and sink into the party mood. 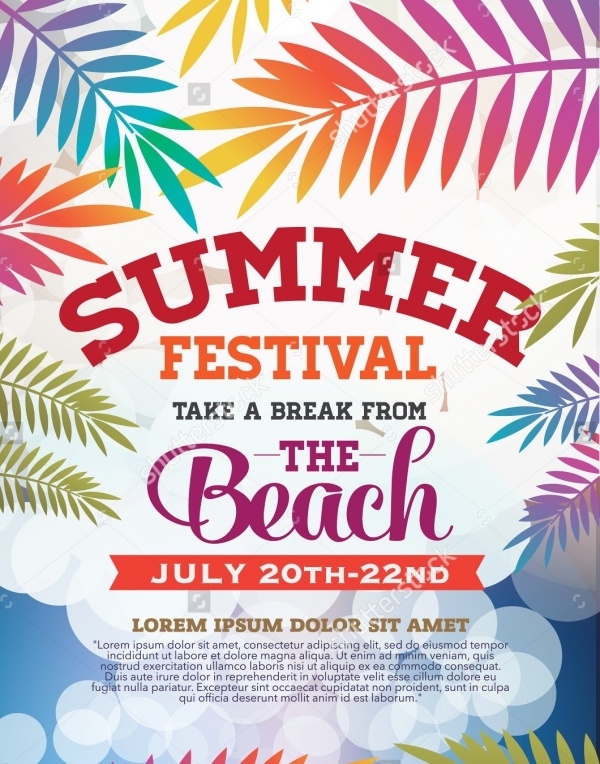 This brochure template is apt for summer beach party festival organizers. 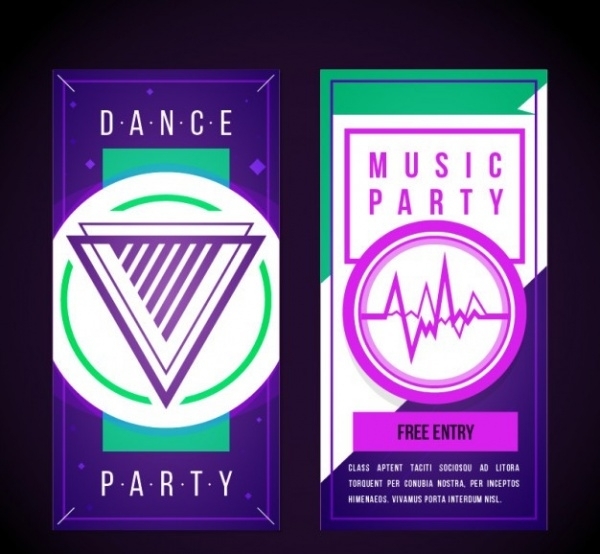 If you’re keen on distributing leaflet brochures about your party, this particular example is packed with just the right elements to help you design and develop an eye-catching party brochure for your event. 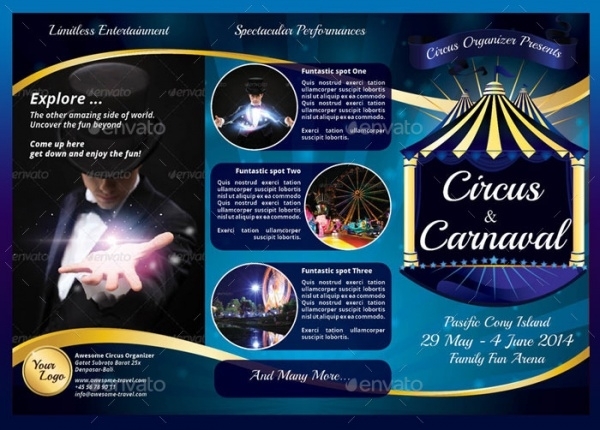 This tri-fold party brochure which is available in two colors – red and blue – is a good for people hosting carnival events. The design and layout is both very modern and attractive. It captures the festive spirit perfectly. 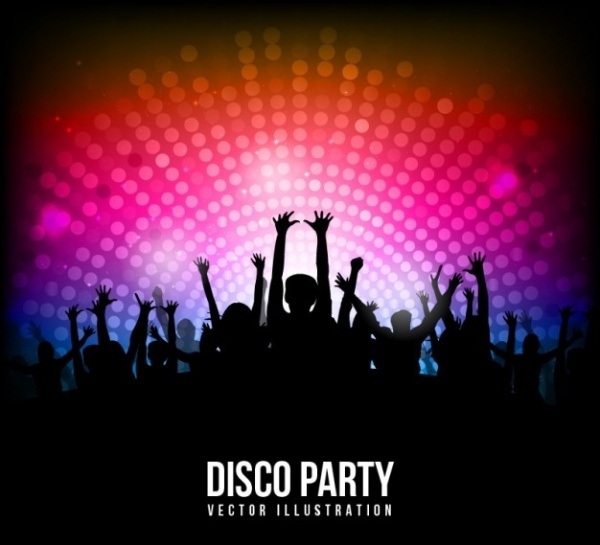 Want to entice crowds to throng to your music and dance party venue? 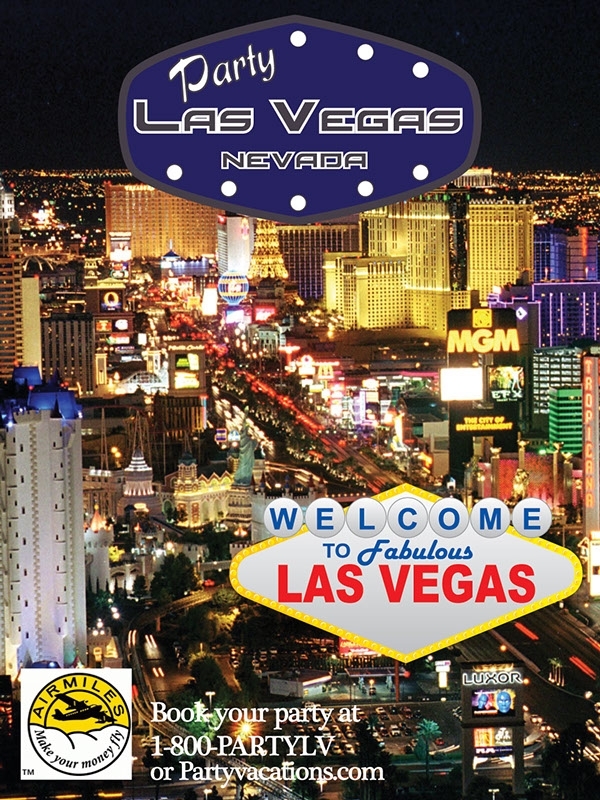 Take our word and choose this abstract yet very cool brochure design to spread the word about it! The template is very customizable. 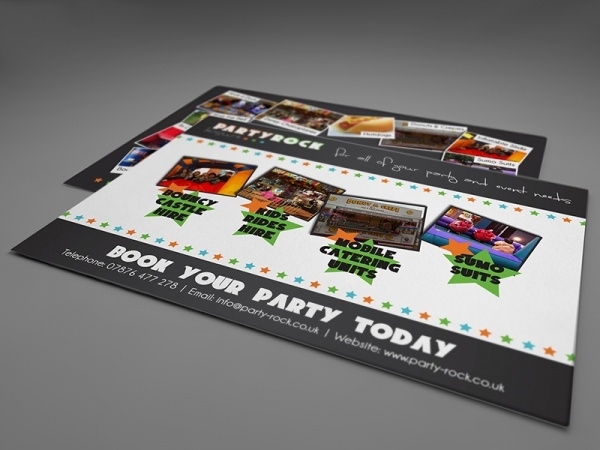 This template is fit for anyone who has opened up a new nightclub spot and wants to let club-goers know about it. 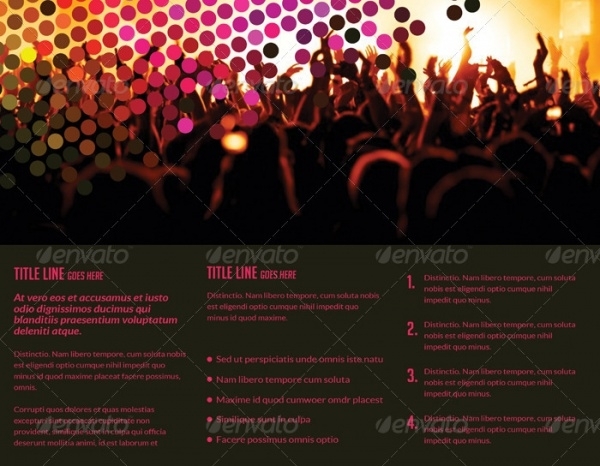 Even if your nightclub is hosting a big event, this brochure mockup is a good choice! Spread the festive scare of Halloween time in the neighborhood and other nearby areas, by taking this brochure design to develop a brochure for your Halloween party gig. You can customize colors, fonts, backgrounds et al. If you’re hosting a DJ party event and want to publicize it in the media, don’t go too far. Pick up this press-kit tri-fold brochure, load it all with relevant information and images and spread it around media outlets. A music fest is something which attracts big interest from music enthusiasts. 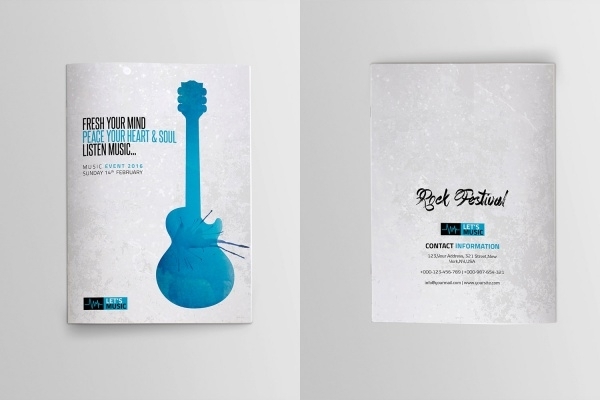 Count on this snazzy, easy- to-personalize music fest brochure template to create awareness and drive people to make their presence felt at the venue. Brochures are amazing things to marketing literally anything. Parties even. 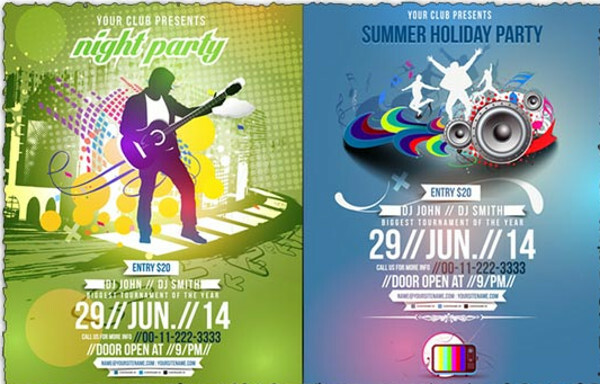 Nowadays it has become norm for party brochures to get circulated in order to create event awareness. 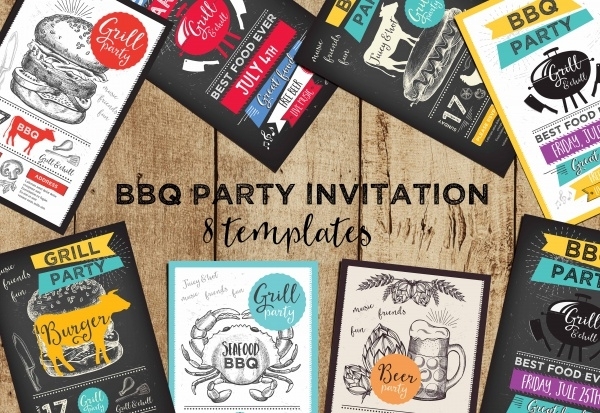 Our lineup of party Product Brochures ensures that you get your hands on the best templates to work with and produce material that has people making a beeline at your party venue!